OK… You asked for it!!! Well you didn’t but here it is anyway! FINALLY… VAGUE HARRY HAS ARRIVED!!! My favourite series of all time… like the other ones. BUT THIS IS A CLASSIC! 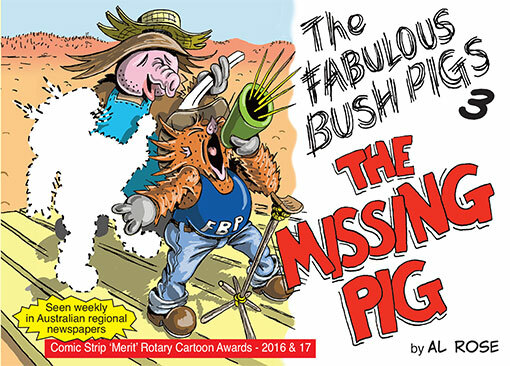 ALSO BOOK 3 of the Fab Bush Pigs is out! None of these will be put up on this web site for years. or Minotaur Books in Melbourne CBD! This entry was tagged Big, book, cover, Fabulous Bush Pigs, harry, missing, pants, pig, pigs, three, vague. Bookmark the permalink.